Stanford Moore was born on September 4, 1913 in Chicago, Illinois. His father, Howard Moore, at the time was a law student at the University of Chicago. His mother was a graduate of Stanford University, where his parents met. It is alleged that this was the origin of Moore's first name. Moore began school at age 4 at a progressive school in Winnetka, Illinois. When he was six his father took a teaching position at the University of Florida Law School. Later he took a position at Mercer University in Macon, Georgia. During these years Moore attended public schools. When his father took a position at the Vanderbilt University Law School, where he remained until his retirement in 1949, Moore attended the Peabody Demonstration School, which was attached to the George Peabody College for Teachers. Moore attended the school for seven years and was an outstanding student. Moore attended Vanderbilt University and was initially torn between careers in chemistry and aeronautical engineering. In his third year he was influenced by Arthur William Ingersoll, and took an interest in organic chemistry and molecular structure. He graduated from Vanderbilt in 1935 with a BA in chemistry. He also won the Founder's Medal as the outstanding student in his class. Moore went to graduate school at the University of Wisconsin where he worked for Karl Link and learned micro analytical techniques. He graduated in 1938 with a Ph.D. in organic chemistry. His thesis project was a method for determining which monosacharides were in the polysacharides he was analyzing. After graduation he took a job as a research assistant working for Max Bergman at the Rockefeller Institute for Medical Research. During World War II Moore worked for the Office of Scientific Research and Development researching therapeutic agents for mustard gas and other chemical warfare agents. 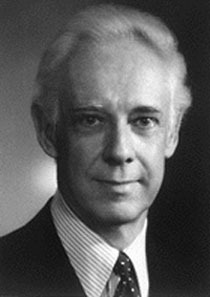 After the war he returned to the Rockefeller Institute and worked with William H. Stein on chromatographic methods of determining the amino acid sequence of proteins. Proteins are macromolecules composed of a sequence of amino acids bound together by peptide (amide) bonds. Moore and Stein, worked with Christian Anfinsin of the National Institutes of Health, determining the sequence of ribonuclease, an small enzyme of only 124 amino acid residues. From the determination of the sequence of the amino acids they were able to learn about the active site of the enzyme, where the chemical reaction takes place. Enzymes are proteins that catalyze chemical reactions, speeding up the biochemical reactions in living organisms. For their work on the structure of ribonuclease Moore, Stein, and Anfinsen won the Nobel Prize in Chemistry in 1972. Other honors won by Moore include honorary doctorates from the University of Brussels and the University of Paris, the American Chemical Society award for Chromatography and Electrophoresis, shared with Stein, and the Richards Medal from the American Chemical Society. Moore remained working at the Rockefeller Institute until his death. Moore died on August 23, 1982.